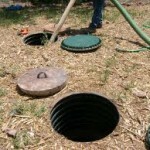 Never let grey water enter your septic tank. 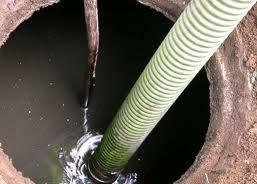 Grey water should bypass the tank and can be utilized in the drain field. Never flush foreign materials or throw it into the tank. Only feces and toilet paper should be flushed. Feminine products, cigarettes etc. should not be flushed, but disposed in a bin. Avoid pouring bleach or strong chemicals down the toilets as this might interfere with the bio-system used in your septic tank. 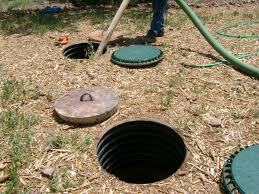 Never overload your septic tank, this ensures that the drain field runs smoothly. The drainage field gives a steady supply of nutritious water to your plants and trees, which is naturally beneficial to you garden. 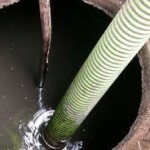 Regularly check the pipes for root penetration as this can cause problems. 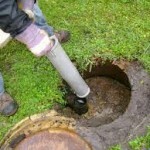 Make sure you have the correct size septic tank for the amount of people in your household. If you are unsure, call us – we are 24 hour plumbers, ready to assist you with your plumbing conundrums. 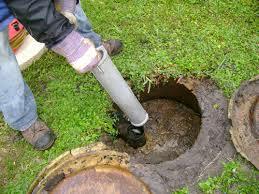 A septic tank can ‘die’ due to an overload of chemicals in the tank, which kills the feces eating bacteria. Try and keep your tank fat free. Get a qualified plumber to assist with a pump out (which should only be done when really necessary). This is usually not a too wise thing to do as it removes the aqueous environment which is needed for the bacteria to thrive. Most fats which you tried to get rid of by pumping out the tank, stays behind unfortunately.